Classic white unscented Tea Lights in a silver cup, from Colony. 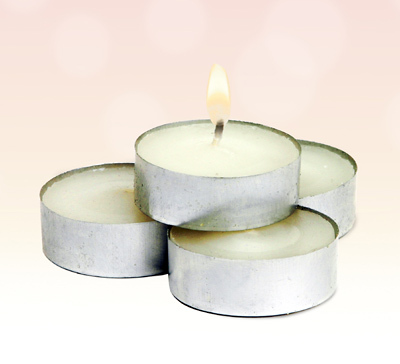 These high quality tea lights are suitable for all types of aromatherapy burners plus a wide range of candle holders. Unlike inferior economy tea lights, Colony Tea Lights burn evenly without smoking or spluttering. Place them around the house to create accents of light, or group them on your dining table for soft, romantic atmosphere. Supplied in a Pack of 10 Candles.